Muyassar Sadykova, 56, cannot remember how many cold and dark winters she had "lived through and suffered" in the Tajik capital until a new thermal power plant was put into service two years ago. "We used to wear lots of clothes and light up a stove ... Thank God, our apartment has become warm and comfortable this year," she said cheerfully. She recalled the tough days when there was no light, no heating and no hot water. "It was very difficult for us before. We even threw in the stove old shoes and rubbish as there was nothing else to burn," Sadykova groaned. Now, with another winter drawing near, living in a cozy three-room apartment with her son, the Dushanbe native said she is grateful for the better life brought by the stable operation of the central heating system that came into use in November 2016. Tajikistan suffered for years a severe power shortage in winter as the country used to rely on hydropower that goes down drastically during the dry season, thus a limited use of electricity and heating is quite common across the country. In 2011, the Tajik government and China's TBEA energy company jointly launched the project of the Dushanbe-2 thermal power station, a combined heat and power plant with a total installed capacity of 400 megawatts. Completed in 2016, the station now meets 60 percent of the power demand here. At the same time, the plant enabled the restart of central heating for more than 700,000 Dushanbe residents after 15 years of suspension. 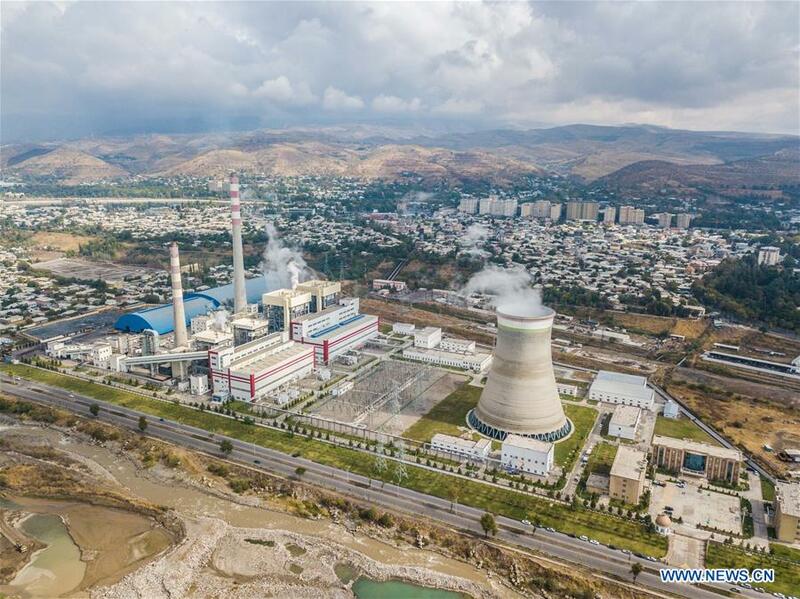 "The completion of the Dushanbe-2 thermal power station has solved the country's long-existing problem of power shortages in winter," said Wang Jian, director of the TBEA office in Tajikistan. Wang stressed that the project uses latest technologies to cut pollution and reduce environmental impact to the lowest. While people in Dushanbe are embracing another winter of warmth and light, commuters in the Kazakh capital of Astana are expecting a much easier trip from home to office as the sometimes nightmarish traffic in the city during the rush hours is likely to be improved. The China Railway No. 2 Group, the China Construction Sixth Engineering Division Corporation and the Beijing Urban Construction Group are busy working on the Astana light rail transit (LRT) project, the first of its kind in Kazakhstan. Scheduled to operate in 2020, the 22-km line with 18 stations will run across downtown Astana and connect the city's airport with its new railway station. The driverless light rail based on Chinese technology and standards will operate at a speed of about 80 km per hour, transporting about 160,000 people daily, a number that is likely to reach 360,000 in five years. "As temperature in Astana can climb up to 40 degrees Celsius in summer and drop up to minus 50 degrees Celsius in winter, the construction of the light rail is no doubt a big challenge," said Xing Daisi, a project manager of the China Railway No. 2 Group, adding that frequent gales also pose a threat to the communication system. However, all these problems have been solved by constructors using China's cutting-edge technology in this area. For residents in the Kyrgyz capital of Bishkek, the China-proposed Belt and Road Initiative (BRI) literally means more convenient transportation as the Chinese government is renovating for free 23 streets with a total length of 38 km in the city. New technology of rubble mastic asphalt is used and the material will make the roads more durable, water-proof and easy to maintain, said Zhang Xin, who is with the China Road & Bridge Corporation and in charge of the road renovation project, the largest ever in the history of Bishkek. The China Road & Bridge Corporation entered the Kyrgyz market in 2001 and has built and renovated roads about 1,600 km long in over 20 projects in the country since then. "China today is such a great country. Our relations have been even closer in recent time. As for the economic ties, I think we need each other," said Nurlan Eshenbayev, head of Bishkek's construction management department. The construction of the LRT project has provided about 900 jobs in Kazakhstan. Tasqyn, 26, is one of them. "The LRT project under the BRI will help reduce traffic jams and make the city more beautiful," he said, adding that people in Astana will be very proud since it is the first light rail in Central Asia. Tasqyn further shared his satisfaction with his job. He said that when he was a boy, he dreamed of becoming a diplomat and establishing friendship between Kazakhstan and other countries. "This job brings me closer to my dream." Tasqyn also showed his strong belief in the BRI, which from his perspective will do good to other countries, including Kazakhstan. 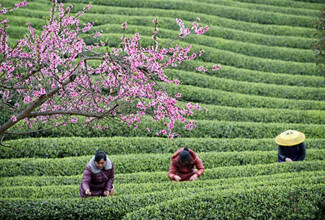 "Everybody knows China's economy has been growing rapidly in recent years," he noted. Meanwhile, more than 600 local employees are working at the Dushanbe-2 thermal power station and many of them received training in China. Hikmataullo Zoirov, now a deputy head of the boiler and turbine floor, was trained in 2012 in China, where "the best" specialist in heating boilers taught them not only theories but also practice. "I think what the Chinese have built here for us is nothing but friendship," said the 30-year-old engineer.